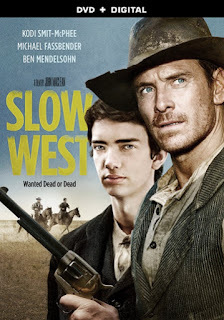 Academy Award® and Golden Globe® nominee Michael Fassbender (Best Supporting Actor, 12 Years a Slave, 2013) and Kodi Smit-McPhee (Let Me In, The Road), star in the gripping Western drama, Slow West, arriving on Blu-ray™ (plus Digital HD) and DVD (plus Digital) July 7 from Lionsgate Home Entertainment. Released theatrically by A24, Slow West also stars Ben Mendelsohn (Netflix's "Bloodline"), Caren Pistorius (The Most Fun You Can Have Dying) and Rory McCann (HBO's "Game of Thrones). The"slow-burning and simmering" (The Playlist) story of a boy headed west earned the World Cinema Grand Jury Prize: Dramatic award at the 2015 Sundance Film Festival. 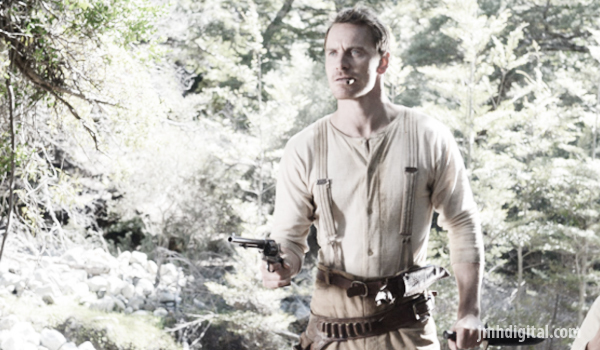 Featuring a "making of" featurette and deleted scenes, the Slow West Blu-ray and DVD. In search of his fugitive girlfriend and her father, 16-year-old Jay (Smit-McPhee) heads west across the 19th-century American wilderness. Along the way, Jay meets Silas (Fassbender), a mysterious traveler who protects him from the savage and lawless elements. But is Silas really watching out for Jay...or is he tied to the band of desperados tracking them? Every step west brings Jay closer to the truth-leading to an epic, bullet-laced showdown in this quintessential Western.